Headlamp Land Rover Range Rover H S E Sport LED 2018-19 Right side Complete . This lamp has 3 missing tabs and a small scratch on the bottom side of the lamp. See last 6 pics and zoom in please. Headlight is COMPLETE. Ballast and HID BULD INCLUDED! WE HAVE A LARGE INVENTORY! All of our HEADLIGHTS are USED! They may have scratches, scuffs and other signs of use. Your opinion is very important for us as we are trying to build good reputation in the online market. Headlight is COMPLETE. Ballast and HID BULD INCLUDED! COMPARE TO YOURS AND ALSO CHECK THE PART NUMBER IF NEED IT. WE ARE NOT RESPONSIBLE FOR FITTING. BE SURE BEFORE BUYING DON'T BUY IF YOU ARE NOT 100% SURE. All tabs and mounts intact except for upper outer tab broken and two pieces broken off bottom bracket. THIS PART FITS YEAR MODELS 2018 (SEE CHART BELOW) w/ LED LIGHT, BLACK HOUSING COLOR. LAND ROVER RANGE ROVER SPORT 2018. NEW ORIGINAL PART FROM LAND ROVER. DRIVER'S SIDE FRONT / LEFT SIDE FRONT. GLOBAL USED AUTO PARTS. Please see pictures. Scratches one on lens the rest on housing. Two broken fins on housing shown in pictures, one is missing. Very nice headlight. If you have any questions please let me know. 2018 - 2019 LAND ROVER RANGE SPORT L494. Must be in original condition, or it does not qualify. All parts are tested before removal from the vehicle! LAND ROVER. Genuine OEM Land Rover Headlamp! Range Rover Sport. Land Rover. For the left (LH) driver side! 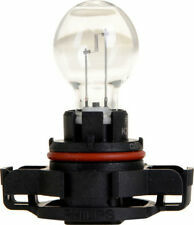 Best Prices on the Market for an OEM Headlight ! Sold as is. SE HABLA ESPAÑOL. 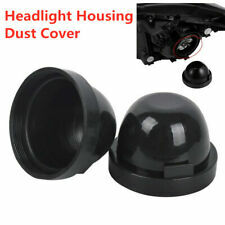 All of our HEADLIGHTS are USED! They may have scratches, scuffs and other signs of use. Your opinion is very important for us as we are trying to build good reputation in the online market. 2018 2019 RANGE ROVER LAND ROVER VELAR OEM LED Headlight LEFT. There is a crack on plastic (pic #11). 2018-2019 RANGE ROVER FULL SIZE LED HEADLIGHT. ORIGINAL RANGER ROVER PART. FULL LED TYPE. LED BALLAST INCLUDED! THESE ARE SENSITIVE PARTS, ALL BI XENON, LED ETC. PARTS MAY OR MUST BE CODED TO OPERATE PROPERLY WITH YOUR VEHICLE. 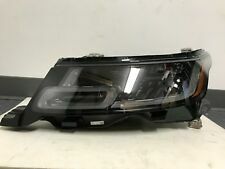 2018-2019 LAND ROVER RANGE ROVER SPORT OEM LEFT HEADLIGHT FULL LED COMPLETE. LAND ROVER RANGE ROVER 2018 HEADLAMP LEFT SIDE , VERY GOOD CONDITION NO DAMAGE ON LENS, ALL TABS ARE THERE, INSURANCE QUALITY. PRICE IS FOR LEFT SIDE HEADLAMP ONLY , I ALSO HAVE RIGHT SIDE. ALLOW 2-3 WEEKS FOR DELIVERY. Bumper is used, normal wear. Bumper has cracked tabs. (check all pictures for details). OEM used part. The rear tab has a small chip in it, the main tab is still there. OEM 2016-2018 LAND ROVER RANGE ROVER EVOQUE XENON HEADLIGHT. BLACK BEZEL. LEFT, DRIVER'S SIDE. 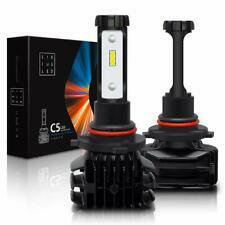 • ALL LIGHTS ARE OEM (UNLESS OTHERWISE STATED). • NO SURPRISES. AS SHOWN, ONE OF THE TOP TABS IS BROKEN OFF AND THERE IS A SMALL HOLE IN THE HOUSING IN THE AREA. Lens is spotless! No scratches or marks of any sort. All tabs are intact and are in great condition, side tab has a small chip but won't effect mounting or strength. LED module is included! Part will fit 2016-2018 Range Rover Land Rover Evoque right side headlight. This part is OEM, HID, LED type. As always, right (RH) side is passenger side and left (LH) side is driver side. We use water marker to point out flaws and yellow tape to protect part from storage dust. For sale is a used 2018-2019 Range Rover Sport Full LED Headlight for the Right/Passenger side. Lens is nice and clean. All tabs are good and intact, but one tab has been repaired. Overall headlight is in great shape. Tailgate light is used. (check all pictures for details). OEM USED PART. 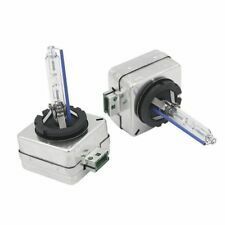 2018 - 2019 LAND ROVER RANGE ROVER SPORT H EADLIGHT LED ORIGINAL COMPLETE (BULBS AND MODULES ARE INCLUDED). THE LIGHT PICTURED IS THE LIGHT YOU WILL RECEIVE. -ALL OTHER TABS FIRM AND INTACT. 2018 LAND ROVER RANGE ROVER VELAR USED LEFT HEADLIGHT THE GUIDE WAS BROKEN REPAIRED BY PROFESSIONAL CHECK THE PHOTOS BEFORE BUY IT THANK YOU. For sale is a used 2018-2019 Range Rover Sport led headlight for the left/driver side. Lens is nice and clean. One tab is broken (seen in 9th photo). headlight will still mount on perfectly fine. BARE ASSEMBLY WITH NORMAL WEAR. You are purchasing A RIGHT, PASSENGER SIDE FULL LED HEADLIGHT FOR 2016-2018 RANGE ROVER EVOQUE. LED Type Complete. (used OEM). - ALL PARTS ARE USED AND WILL HAVE. LOCAL PICK-UP. once your item has arrived at your local greyhound station. (used OEM). - ALL PARTS ARE USED AND WILL HAVE. LOCAL PICK-UP. once your item has arrived at your local greyhound station. Item has repaired plug area. The lens shows little signs of wear. Cash on pickup. All our parts are from Left Hand Drive (LHD) donor vehicles from the USA. All modules and electronics are tested and in working condition. Modules and electronics are not "defective" if you are unable to program into your vehicle. Lens is spotless! No scratches or marks of any sort. All mounting tabs are intact and are in great condition! This is hardly visible from a short distance away and pretty much won't be noticeable once the light is installed.